being MVP: Umi Shoes 3 Day Sneaker Sale! 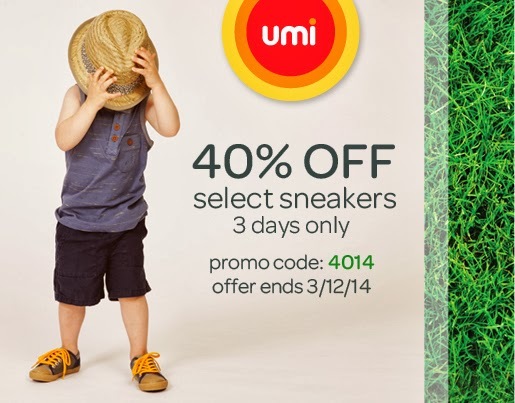 Umi Shoes 3 Day Sneaker Sale! 40% Off Select Sneakers - 3 Days Only! Use Promo Code "4014" at checkout.